Thinking about Halloween? 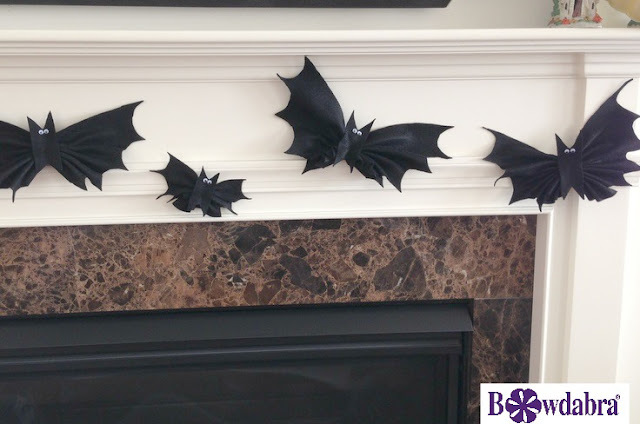 This is Gail @Purple Hues and Me and I'm on Bowdabrablog today showing you how to make "flying" bat decorations using your Bowdabra! Head on over and check it out! They are super easy to make and will be a hit at any Halloween celebration. And the best part - they are absolutely BATIFUL! Keep Crafting with your Bowdabra! Those are cute, if you can bats cute....LOL off to see your tutorial. Great craft Gail. Just what we need to make an impact in the house or outside even for holloween. There are only two seasons for me, summer and Halloween lol. Love your bats!! I love your bats, Gail! You're always so creative! I'm going to pop over to get the tutorial. Pinning to my Halloween Board.